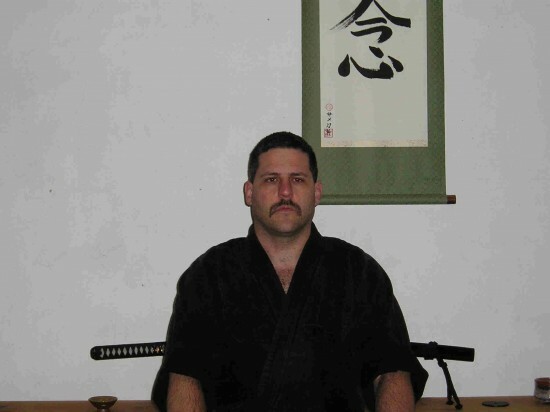 William Belser Dai Shihan has been training in the martial arts since 1989. In addition to Aikijutsu, he has also studied Shotokan Karate and participated in seminar training in various other arts including Kenjutsu, Escrima, Sambo, Judo, Aikido and Taihojutsu. He began his training in SJKA Shotokan with Sensei Scott Tillman in 1989. He made the transition to Yama Kei Aikijutsu when he began training with Sensei Sam Lovell in 1992. He was promoted to the level of Menkyo in 1999 and became the Chief Instructor of the Willows, CA Yama Kei Jujutsu dojo at that time. In 2006 when Shinan Loyd Lovell and Sensei Sam Lovell both retired from Yama Kei Ryu Mr. Belser was named Dai Shihan the successor of the Shinan. He is currently teaching in the Willows, CA dojo while construction is progressing on the Orland, CA dojo.